Anyone doing anything internet related absolutely needs an online presence. I have blogged before, back in high school about teenage angst and all that other crap. Thankfully, that is now deleted. And then I had Wordpress for a while but I found Tumblr to be more effective. Now that I want a slightly more serious design blog, I find Tumblr a bit too limiting. While Wordpress does have the features that I need, I’m finding Jekyll to be more what I’m looking for because it feels lighter and faster and I can art direct my blog posts. Setup is really quick and the template files are easy to edit. I think Jekyll is great for people with web development knowledge but non-geeks should probably stick to Wordpress, Tumblr or Squarespace. 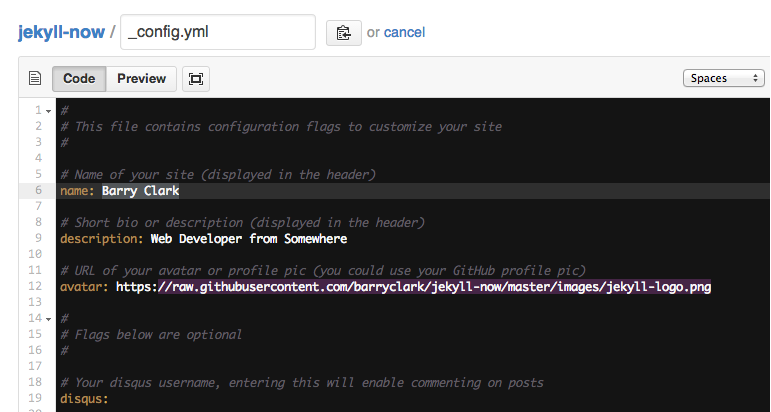 I used Barry Clark’s Jekyll Now repository on GitHub to setup my blog. I am a total Github idiot so I just followed the instructions on his project page.